Glitz! Glamour! Showgirls! Duckie creates cabaret for care homes. 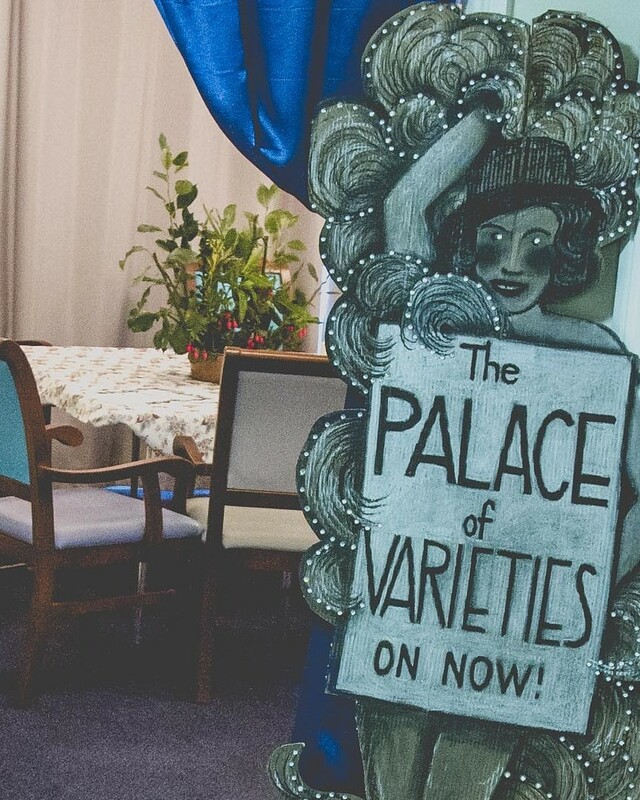 As part of our Artist Residencies in Care Homes, alt-cabaret collective, Duckie presented the Palace of Varieties, a weekly cabaret show created for and with care home residents, including those with dementia. 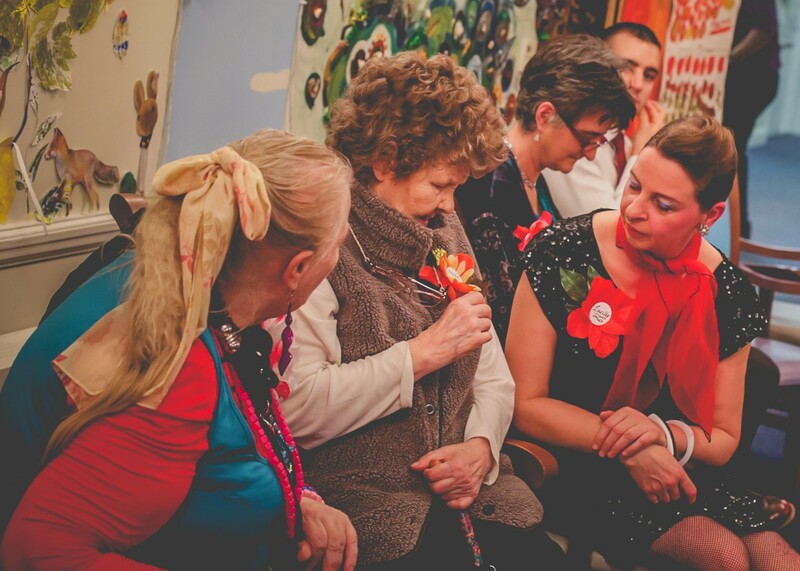 Waterside Care Home run by not-for-profit housing provider Anchor hosted the 10 week residency with artists from alt-cabaret collective Duckie: “purveyors of progressive working class entertainment” as part of a two year project bringing cutting edge arts to care home audiences. Duckie, based at South London’s infamous Royal Vauxhall Tavern, are passionate about local heritage and the history of popular entertainment. Each week Duckie artists and performers explored the halcyon days of local variety entertainment with Waterside residents and staff. Building each week around a theme – including show business, flowers, and the seaside – together residents and performers created a series of Friday afternoon matinee balls and dementia friendly music hall shows, using performance, film, games, music, food and other creative arts activities. The Palace of Varieties in Camberwell was demolished in 1956, but it was still fondly remembered by a number of the residents. Built in 1899, the Palace thrived as a music hall featuring shows by the likes of Dan Leno and Vesta Tilley, before becoming an early cinema, a repertory theatre and even hosting burlesque ‘girlie’ shows in the 1950s! Duckie are into making the arts accessible and relevant to people that often don’t access them, and we have a particular passion for working with glamorous golden girls, senior citizens and elegant elders, so this project was right up our street. We are loving having Duckie in residence. It’s so exciting seeing what our residents and artists come up with each week. This project is a valuable addition to our busy programme of fun and stimulating activities that promote the mental and physical well-being of our customers. Sessions at Waterside were led by Duckie’s multi-media maestro Robin Whitemore, assisted by creative showgirls Lucille Power and Sheila Ghelani and with performances from special guests including soprano Jennifer Coleman, vaudeville duo Wrench & Franks and London’s finest flappers The Bees Knees. Local teenagers from SE15, a group of volunteers and even local dogs took part in this unique project designed to excite the memories and imaginations of Waterside’s residents, many of whom are in their eighties and nineties and have lived in the area for their whole lives. 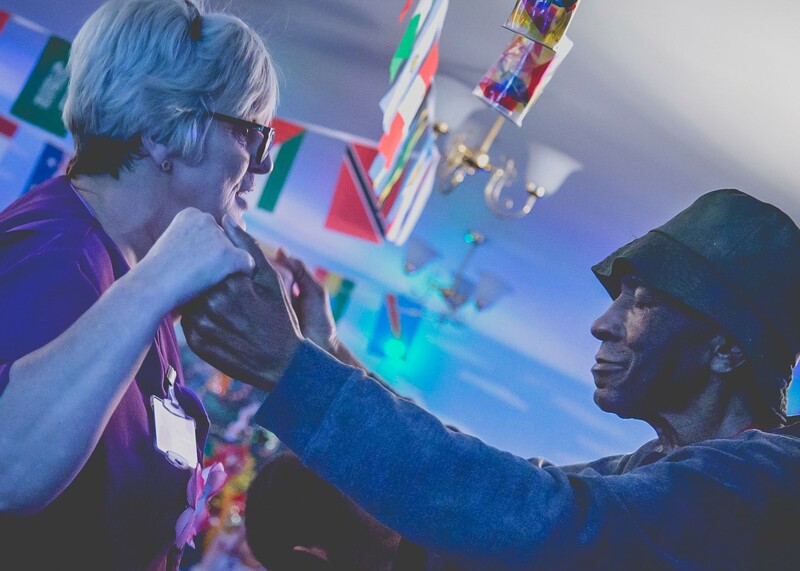 This residency was part of a two year programme set up by intergenerational arts charity Magic Me supporting some of the UK’s leading performing arts companies in developing their work and practice for care home audiences including those with dementia. Other companies taking part were aerial and circus company Upswing, immersive theatre company Punchdrunk Enrichment and performance artist Lois Weaver. This project was funded by the Paul Hamlyn Foundation, Anchor’s Legacy Fund and the Wakefield and Tetley Trust.